Bay Home & Window offers a variety of custom closet solutions including walk-in and reach-in closets. But did you know that we also have a great selection of material options to choose from? 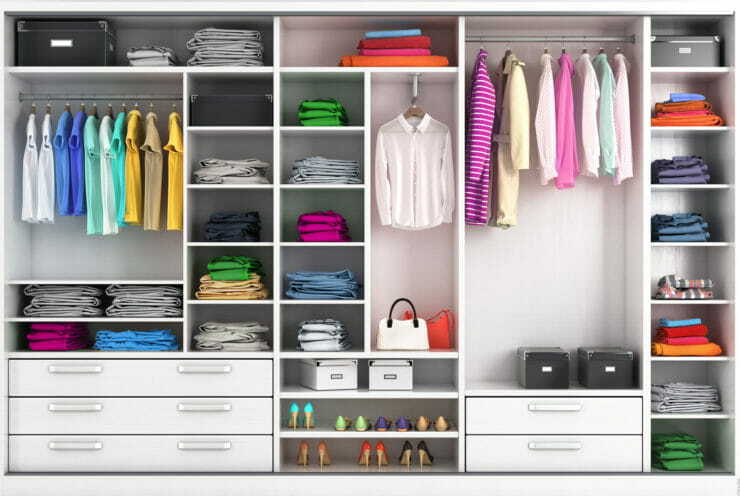 Our custom closets are designed to help you eliminate clutter and chaos and stay organized. Closets may include shelving areas, hanging solutions, shoe storage, and jewelry organization. In addition to being able to choose the custom aspects of your new closet along with our team of expert designers, you’ll also be able to choose from a wide range of material choices. For a classic closet look, you can choose from a variety of natural woods which offer either a traditional or contemporary touch to your living space. State-of-the-art laminates provide another great option for custom closets. These materials can create unparalleled aesthetics as well as architectural detail to go with any motif. When you hear laminate don’t be confused by what you may have seen on kitchen counters in the 1970s and 80s. Today, laminates are available in a variety of wood grain finishes and colors. If you aren’t sure which material is right for your custom closet solution in the Bay Area, the expert designers at Bay Home & Window can help. Contact us today for more information or to schedule your free consultation.